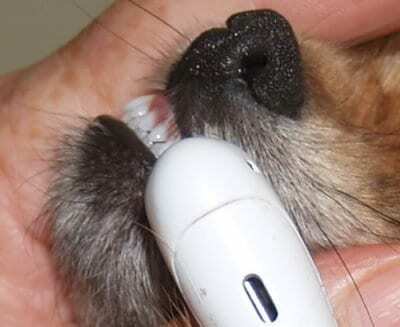 Part of loving any pet is ensuring good dental hygiene is maintained at all times. While you can give your Pomeranian treats and toys designed to help clean their teeth, that’s not the only answer. 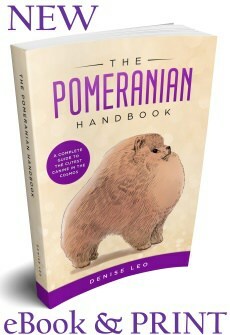 This is especially relevant in small dog breeds such as a Pomeranian, whose teeth are tiny. If your dog’s teeth aren’t being brushed regularly, there are numerous problems that may occur: A build-up of tartar and plaque – Small scraps of food and saliva mix to create a sticky substance that coats the teeth. This can’t be eliminated solely by chewing food. Decay can occur and, sometimes one or more teeth will be covered so the infected area is protected and can get deeper into the mouth of your dog. Gingivitis – This is a major problem. If you don’t use a high quality paste and brush on his gums and teeth regularly, bacteria will grow beneath the gums and around the roots. After a short time, the gums will turn red, inflammation will occur and they can even start bleeding. Tooth and bone loss – All of these problems can cause cavities and loose teeth. Some may need to be extracted. Jawbones generally decay over time and the results can be quite frightening. Infection – can travel through your pet’s body via his blood, affecting his brain, heart, kidneys and liver and possibly causing serious diseases. Infections within the sinuses – Unless you’re regularly using a top quality brush and paste, infection can enter the jawbone and pus pockets may get into the nasal cavities, thereby causing nasal discharge and chronic sneezing. 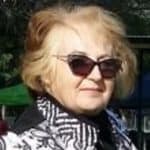 Difficulty eating – If your Pom manages to survive the aforementioned problems as well as loss of teeth, when he’s a senior, eating will become difficult. Without teeth, he’ll find it tough to maintain a healthy weight range. Puppies aren’t immune to tooth problems. Their milk teeth can be affected and that may cause jaw troubles, making it harder for the adult teeth to grow properly to begin with. Decay may get into the adult teeth prior to the milk teeth falling out. 2 How to Choose a Good Dog Toothpaste. 4 Toothpaste NOT to use on your Pomeranian. 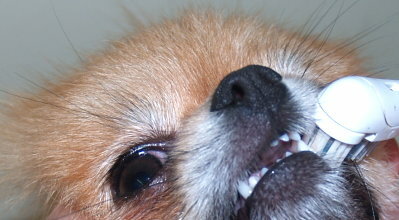 5 What Toothpastes are Best for Pomeranians? 5.2 There are a lot more ingredients that should never be used to make anything for dogs or cats to eat or play with. How to Choose a Good Dog Toothpaste. Toothpaste NOT to use on your Pomeranian. You can’t use human toothpaste because dogs can’t spit out the bubbles and foam. One ingredient in 95% of human toothpastes is sodium fluoride and this is highly toxic to dogs. Toxicity happens under 1 mg per kg of dog weight and a fatal dose is only 5 mgs per kg. It also gets absorbed incredibly fast. 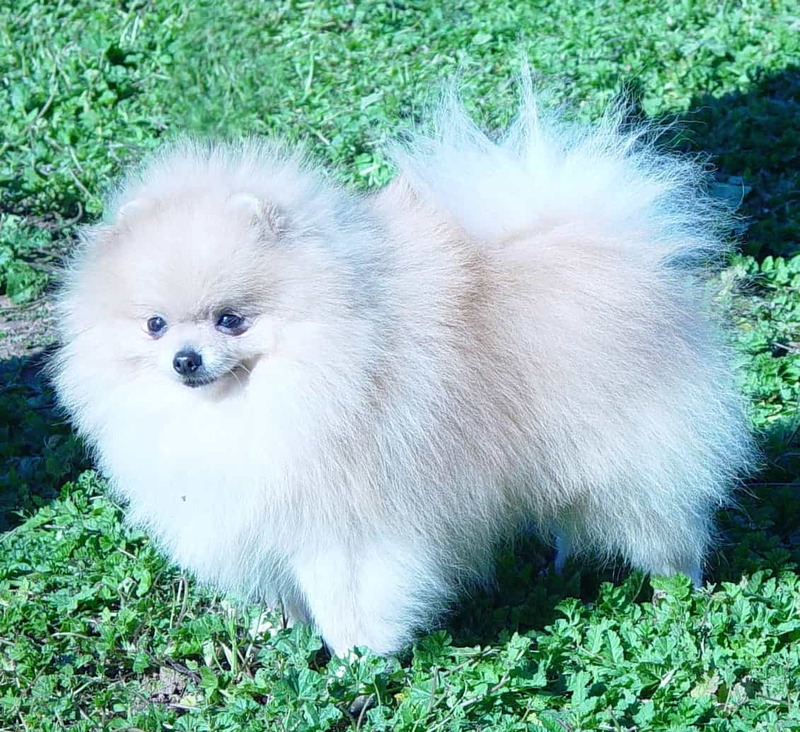 If your pom swallows a a lot of sodium fluoride, his intestines and stomach will become inflamed, his heart will race and, if he’s not treated urgently, he’ll collapse and die within hours. If he absorbs only a small amount over a long time, his teeth may become stained, worn and mottled. Growing puppies can have the growth of their skeletal system impeded and bony growths will occur, as will tissue thickening which causes sclerosis. Many doggie toothpastes contain a sweetener called xylitol, even though they claim the paste is “natural” and can “whiten your teeth.” Xylitol is poisonous to canines of all ages and types. Ingesting more than 0.1 grams per kg can cause severe, potentially fatal, hypoglycaemia within 15 minutes and it can also cause liver disease. You can’t use human toothpaste under any circumstances. Not brushing for a day or two is preferable and safer. What Toothpastes are Best for Pomeranians? Taste. This is simple. If the paste doesn’t taste nice, no amount of cajoling, tricking, struggling or efforts of any kind will allow that toothpaste to enter your dog’s mouth. Choose a flavour he likes and it will be much easier to do. Does it work properly? 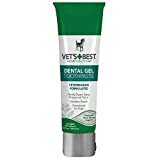 It needs to be abrasive enough to properly clean your pet’s teeth, removing all debris, plaque and stains, leaving his teeth all shiny and white. It also must be mild so it doesn’t damage the dog’s enamel. This is the outer thick cover of his teeth. The ideal paste will remove stains without causing harm. Enamel protects teeth from all the usual activities such as playing, chewing toys, eating and biting. Enamel can’t grow back once gone. A harsh toothpaste can wear it down, causing decay, high sensitivity and nerve damage. Don’t use human oral products. Not using human paste isn’t enough. You can’t use any human product for your dog. Many oral cleaning products sound great for humans but you must only use canine cleaners. Don’t believe everything you read. If a label says “natural” or “safe,” don’t assume it’s safe for your dog. The same applies with treats and chewing toys. While they help with dental care, if they contain toxic substances, then they’re no good. Products may be manufactured overseas where standards aren’t as high as in this country. Artificial flavouring and colouring agents. Examples are Blue 1 and FD&C Blue No.1. These are carcinogens and heavy metals may have contaminated them, very toxic to the brain. Other health issues may include: brain tumours, cancer of the bladder and trouble concentrating. Others are phosphoric acid, monostearate and propylene (an ingredient in anti-freeze which is deadly to dogs. Endocrine disruptors, artificial preservatives and carcinogens. Read labels and search for “natural preservatives” and various antioxidants including: Vitamins C & E as well as mixed tocopherols that are highly toxic. Corn, soy and gluten get used as fillers but they cause inflammation in both dogs and cats. These ingredients and any derivatives are the primary allergy triggers. In the US, most of the soy and corn crops are grown from genetically engineered seeds, ending up as GMOs. Tumours are a serious side effect of the consumption of GMO corn. There are a lot more ingredients that should never be used to make anything for dogs or cats to eat or play with. Fluoride, gelatine, parabens (a preservative), hydrogenated starch hydrolysate (artificial sweetener), trans fats and saturated fats, sorbitol, sugar (tooth decay, cataracts, obesity, heart disease, low blood sugars, allergies, arthritis and immune system suppressant) and tin. The bottom line is that if you have dogs and/or cats to care for, use products designed for them and not for you. A pet is a member of the family and his health is just as important. Ask your vet if you’re unsure about any aspect of your beloved pet’s health.